Posted on July 27, 2018 by G.S. Book an appointment with your local divorce registration office with the click of one button. 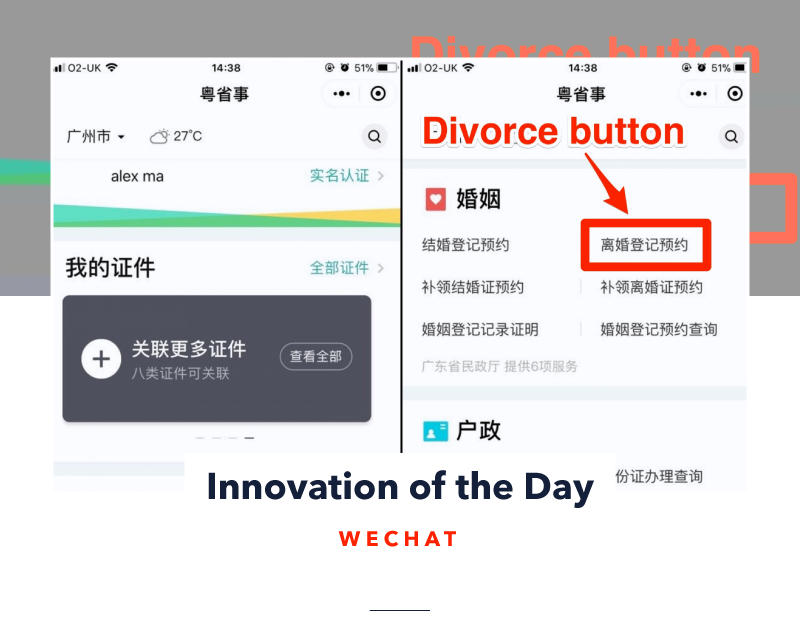 Chinese messaging platform WeChat launched a new service that allows couples to file for divorce straight from the app. Only available to users in the Guangdong province for now, the feature is planned for a nationwide roll out. Messaging apps have become end-to-end lifestyle ecosystems and with 1.8 Billion messenger app users demanding new products and services, they offer immense opportunities for brands.